Information reaching Secret Reporters is that Mr Peter Nwaboshi may be granted bail today by the Federal High Court, Ikoyi, on self recognition. He’s a Senator of the Federal Republic of Nigeria. He was arraigned today before Justice Muhammed Idris by the Economic and Financial Crimes Commission (EFCC) on two count charges. 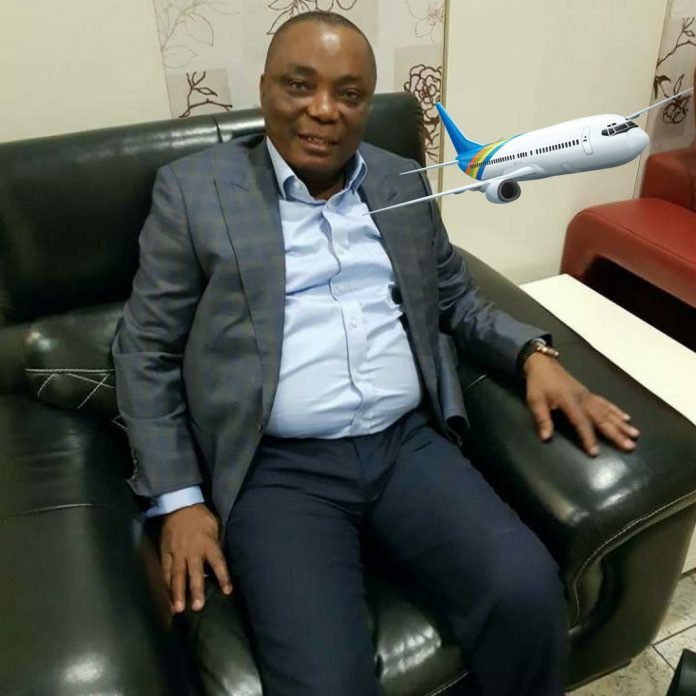 Nwaoboshi was brought into the court wearing a sparkling grey colour suit, via a white Toyota Hiace bus, accompanied with two truckload of armed security officials and led into the court, where he pleaded not guilty. The matter was stood down for bail hearing by 11am. He was subsequently led outside and pushed into the bus, where he’s still cooling off under the heat of the sun and sweating. We gathered that he plans to run to London, once he gets his freedom and not return believing that power will change hands in 2019 to the Peoples Democratic Party (PDP). The EFCC will have to argue that his international passport be seized by the court to stop the eloping planned by the Senator. Part of the argument by his lawyers according to sources is that he has booked his ticket to fly to USA on Friday for OTC, for a jamboree that adds no value to Nigeria and his constituents. Meanwhile the Council Chairmen of Oshimili South and Oshimili North, Mr Osadebey and Louis Ndukwe allegedly wasted over N3 million to mobilize loyalists to the court, in solidarity with Mr Nwaoboshi, whereas he was abandoned by fellow Senators.